But now they are back! The very couple of Left Bank staffers who said good-bye in this Instagram post—Jess Kuronen, who comes from an art and design background, and antiquarian bookseller Erik DuRon, who got his start at grey eminence Bauman Rare Books—have been nurturing the business in the interim as an online outlet and have finally found a space and a model to carry it forward. The new store is smaller and will have more limited stock—artfully selected used and rare books that reflect the store’s roots in the half-underground scene of literature, art, film, photography, fashion, design, etc., of what is now coming into focus as the “late twentieth century.” Their story traces some of the trajectories of used bookselling—its perils and possibilities. We’ve talked quite a bit here about the vitality of independent retail bookselling (see our archive for past Notebook installments), but not so much its sibling, used and rare books. Enthusiasts of the one usually love the other, too, but note their differences. Retail booksellers are portals for publishers: their business is grounded in bringing you what publishers have to offer, their so-called backlists of already-published books of course but, most urgently, new books. Retail booksellers keep up with publishers’ catalogues and plan events around what is latest in the book world. When you buy a new book, a retail bookseller divides the sale with the publisher, and you are helping to pay the people who write and edit and in other ways create books. Retail bookselling has shown unexpected resilience in the face of online buying in part because readers seek out bookselling spaces as points of connection with books at their origins: connection with the expertise of the buyers and staff, the guidance of their selection and organization, the opportunities they create to meet writers and others from the book world, and the company of other readers who share these enthusiasms. The world of the used and rare bookstore is similar but slightly different. Used and rare book dealers have searched the planet for second-hand books they think you will like (they take the financial risk of buying the book and keep the return when they sell it to you; there is no benefit to the author or publisher). Their focus is not on the new but often on the forgotten, the unnoticed. To visit a beloved used and rare bookstore is to enter a place that shelters the past, where things that are old and precious are protected from threats of time and commerce. Used and rare bookselling, like retail, has been profoundly altered by online shopping; also like retail in positive and negative ways. Booksellers and customers both now have the opportunity to search the whole world for a book, and prices overall have been driven down by the flood of competition. “The arrival of the internet was the defining moment of my career,” one bookseller has noted. “It allowed us to find clients we never knew existed.” In the nineties the platform AbeBooks rose up as a shared marketplace for used and rare booksellers; in 2008 it was purchased by Amazon, consolidating Amazon’s hold on the used book market in addition to the retail book market. (Readers looking for an alternative to Amazon for used books can try the independent Biblio.com.) Used booksellers, like retail, lament that the viability of their business is dependent on Amazon’s unilateral imposition of fees and restrictions (see this illuminating conversation among booksellers on Amazon’s seller site). Last fall Amazon threatened to exclude used booksellers in Czech Republic, South Korea, Hungary, and Russia altogether from the platform, and in a stirring show of unity booksellers around the world rose up solidarity and Amazon backed down. Adam Bosze, the president of the Antiquarian Booksellers’ Association of Hungary, said: “I would not have thought that we’ll succeed, but you showed the real meaning of our motto, ‘Amor librorum nos unit’” (the love of books unites us). Used bookselling, like retail, has shown a striking resilience in the face of these threats. Some used and rare booksellers thrive online and persist without any physical presence at all except (often) their appearance at antiquarian book fairs around the country. One of the big book fairs is happening right now at the Armory in New York; LitHub offered this glimpse of some of the goodies you can find there. (Visit the Antiquarian Bookseller of America’s website for a schedule of books fairs in different places.) Many booksellers bring to the fairs books that will appeal to both the experienced collector and the less deep-pocketed visitor; there is plenty for the regular reader to love at an antiquarian book fair. Although rising rents are, with Amazon’s muscle, perhaps the biggest threat to used bookselling, many booksellers still find benefit in a physical presence. There seem to be plenty of readers who are still happy to pay a bit more for a book that they stumble on in a wonderful store, even though with a little effort they could find it for less online. For certain not-too-cheap and not-too-expensive books the margins work best in a physical store. (There’s a scary extreme in the economics of bookselling, the penny-seller, that springs up in the soupy backwaters of this market.) Laying out their vision and taste in a physical store, as Kuronen and DuRon are about to do with Left Bank, also draws the notice of like-minded serious collectors, relationships that are an important component of the business model for used booksellers with an antiquarian bent. Kuronen and DuRon are also innovating by creating an electronic version, drawing on Kuronen’s design experience, of the beautiful physical catalogues that rare book dealers used to create for their more dedicated customers. And a physical store in a readerly neighborhood also becomes a magnet for those looking for a way to part with their books. Notably two New York City stalwarts, whose longevity can be tied in part to a prescient decision a generation ago to buy their buildings, are operated by women: the Cohen sisters of midtown’s Argosy Book Store, who were memorably profiled in 2014 by Janet Malcolm (speaking of whom, see our recent piece by April Bernard), and Nancy Bass Wyden of the Strand, who has lately been in the news because of fears that obligations from a proposed landmark designation would threaten the razor-thin margins of her giant store, with its famous “eighteen miles” of books. These figures join the ranks of memorable characters who populate the history of used and rare bookselling. One of the best loved was novelist Larry McMurtry, of Last Picture Show fame, who vowed that if he ever returned to the tiny town of his childhood, he'd bring a copy of every book he’d ever need. After running a much admired bookshop in Washington, DC, for twenty years, he lugged all his books to tiny Archer, Texas, in the hope of creating a book town there like the legendary Hay-on-Wye in Wales. (For news of other American Hay-on-Wyes, see this recent story in Atlas Obscura.) When that didn’t quite pan out he folded up shop in an epic prairie sell-off. The stories of rare booksellers are in their way as eclectic and beguiling as the contents of their stores, and have been known to bleed into them. Photographer Franck Bohbot and author Philippe Ungar recently assembled a book of photographs of booksellers in situ. Novelists have weighed in, from early entry, 84 Charing Cross Road by Helene Hanff, to tech afficionado Robin Sloan’s Mr. Penumbra’s 24-Hour Bookstore. Recently crotchety Scottish bookseller Shaun Blythell charmed readers with his Diary of a Bookseller (the female half of this story appearing in Jessica Fox’s Three Things You Need to Know About Rockets). In The Little Bookstore of Big Stone Gap, Wendy Welch offered insight into second-hand bookselling in a small Appalachian town. 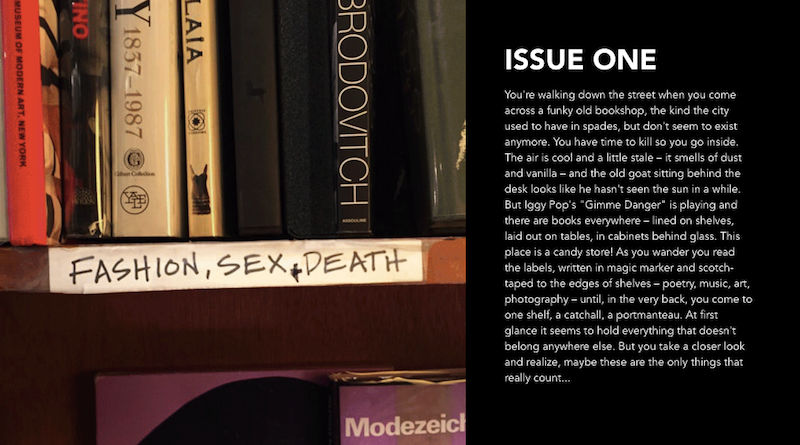 Book Riot cued up this beguiling journey through bookstores in movies. Considering the human work that brings books to life and the human characters that pass them, hand to hand and mind-to-mind, to us, remember whom you are supporting when you buy a book and what sort of book world you would like to live in. Book Post is a by-subscription book-review service, bringing to your in-box book reviews by distinguished and engaging writers, plus a few other treats, such as this one, for followers of our free updates and visitors to our site. Please consider a subscription! Or give a gift subscription to a friend! Recent reviews include Joy Williams on Richard Powers and Àlvaro Enrigue on Roberto Bolaño. Coming up we have Calvin Baker on Frederick Douglass and Edward Mendelson on Englishmen in India. Visit our archive for more.